To promote high standards of language skills, equipping the girls with a strong command of the spoken and written word. To immerse the girls in language rich classrooms, building a wide vocabulary set and a knowledge of how to impact the reader. To develop independent and confident writers and to treat the girls as 'authors'. To develop a secure use of grammar and punctuation. To foster a love of literature and reading for pleasure. 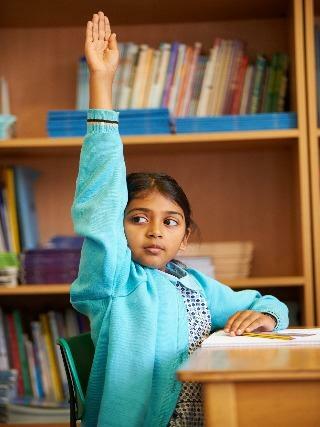 Our English lessons are inspiring, enjoyable and encourage every girl to become an engaging writer, reader and speaker. Teaching is driven by ‘Talk for Writing’ which is a term that describes all the oral talk that surrounds the teaching of writing, aiding the internalisation of language patterns, confidence and independence. Over time, this process helps the girls to become better speakers, listeners, readers, thinkers and ultimately writers. By the time the girls are in Year six, our expectation is that they will have vast internal language patterns, a wide vocabulary and be used to using scaffolds for their independent writing. Each genre of writing is able to be taught in this way, from letter and diary writing to a variety of narratives and the girls find this method of teaching highly engaging and motivating. 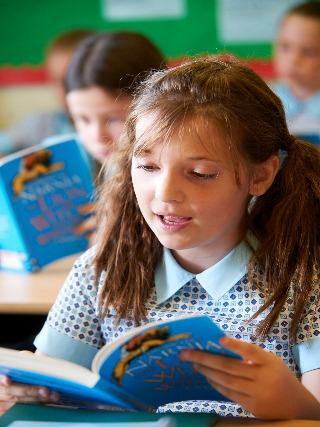 Comprehension skills are taught weekly and this regular practice allows the girls to develop retrieval and inferential skills through a variety of fiction and non-fiction texts. Regular oral discussions also tease out reasoning skills and observational skills which are taught through a range of texts. Spelling is taught and tracked weekly through a variety of methods, such as oral word games and written approaches. There are also opportunities for the girls to challenge themselves in half termly ‘spelling and vocabulary star challenge’ tasks, whenever they feel ready. 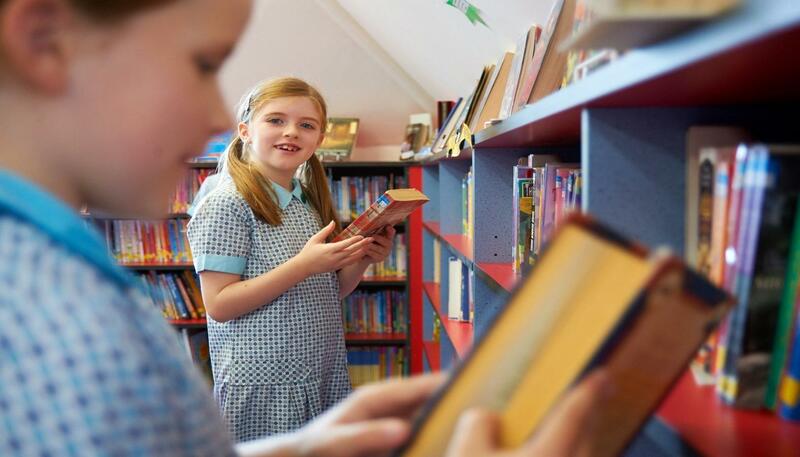 Reading is embraced throughout the school, from Nursery through to Year 6, with countless opportunities for the girls to read individually and in group situations. Our school library is also a thriving, well-used environment with up to date, high quality literature across all age groups. We also have the opportunity for the girls to read ‘on-line’ books through ‘Bug Club’, a levelled reading scheme, which augments our classroom readers. We all enjoy celebrating events such as World Book Day and Poetry Week.